Throughout all its incarnations—nudist retreat-turned gay men’s club-turned chic mellow hideaway—this 16-room boutique hotel has always been a piece of architectural eye-candy à la Swiss architect Albert Frey. Spend the day idling by the mellow pool, surrounded by an outdoor living setup, then dip into the Scandinavian-style spa, which features a hot tub, sauna, and cold plunge pool. 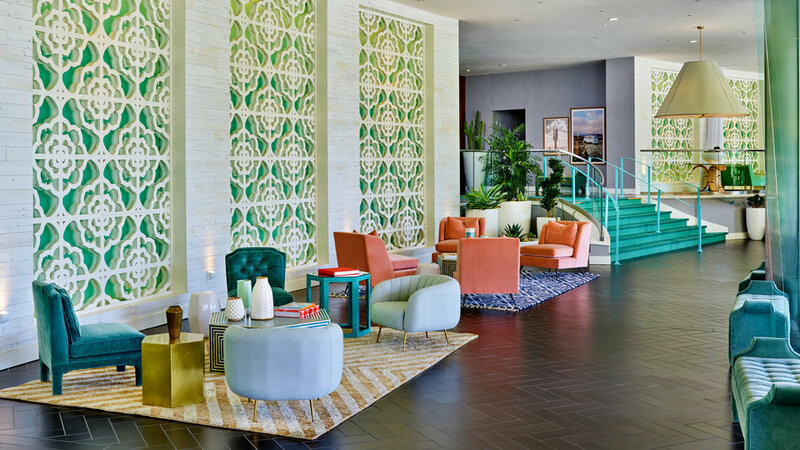 Rich in Hollywood history from 1952 to present—and celebrity designer Steve Herman’s first hotel project—L’Horizon is the luxury boutique base camp for the modern L.A. getaway crowd. 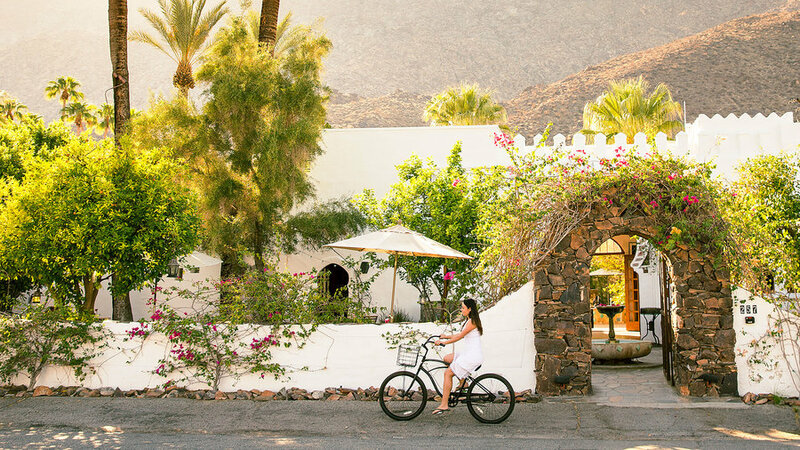 Palm Springs architect William F. Cody originally built it as a private residence for him and his friends, with 25 bungalows and guestrooms decked with beam wood ceilings, slump stone walls, marble baths, and some with private patios. Don’t overlook the open-air spa, elegant courtyard with white lounge chairs and sunbrellas, or the new infinity pool, all fittingly beneath the speckled shade of palms. 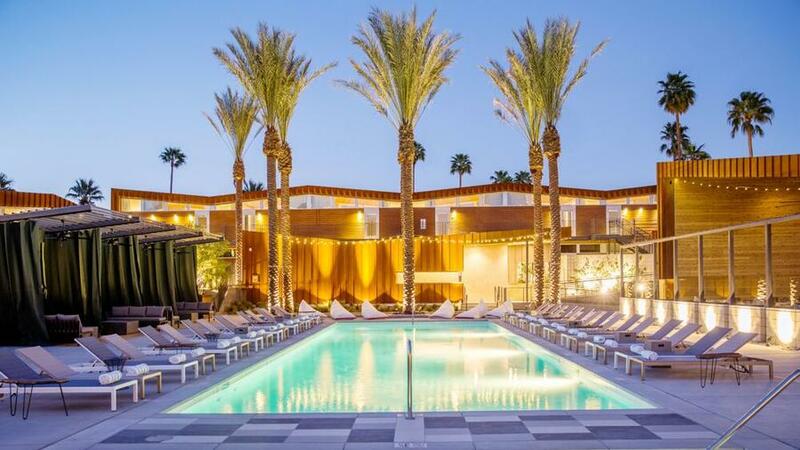 Palms Springs’ hippest new hotel, catering to the Coachella music festival set, still holds on to the city’s roots: mid-century aesthetics like clerestory windows and butterfly roofs mimic the nearby San Jacinto Mountains. Throughout nine buildings, wood, rusted steel, and concrete give it a dose of urbanity, while its courtyard is the center for sun-worshippers and social events, like “dive-in” poolside movie nights live music on Sundays. 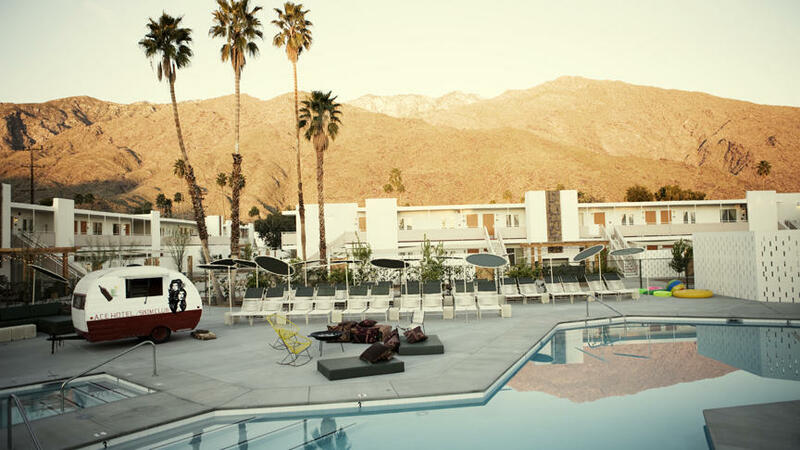 The Ace Hotel’s fresh-faced cheeky hotel is the place to go for the Palm Springs social scene. Catch some rays by the floaty-filled pool while the DJ spins you into a trance, or mingle over cocktails in the outdoor living room stocked with Acapulco chairs, then replenish in the natural spa with a seaweed wrap. Designed by modern American glam king Jonathan Adler, this 13-acre design compound is made for Instagram-worthy lazy days. The entire property may be one big aesthetic statement, starting with its iconic patterned entry wall, but the beauty is in the details— butterfly chairs on the lanais, golden Moroccan poufs, and cheery pops of colors throughout. 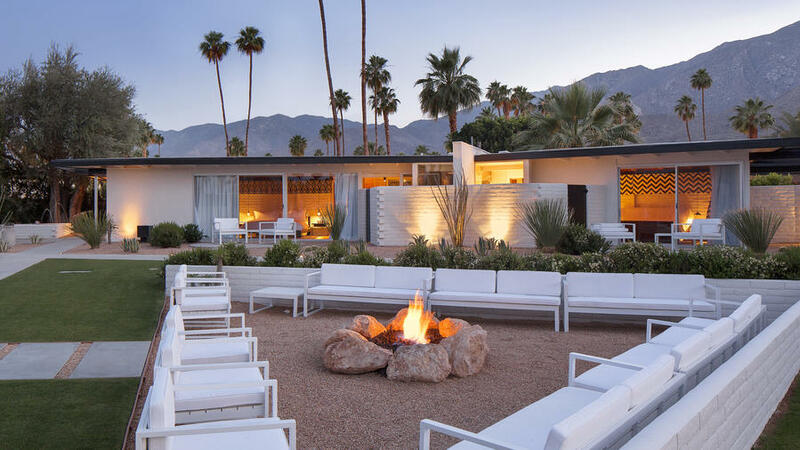 Soak up Palm Springs’ Hollywood history at the stylish Riviera Palm Springs. Red chandeliers, art deco furniture, and plush sofas harken the days when the Rat Pack and Sonny and Cher frequented the resort. Two outdoor pools with a cheeky tiki vibe and lounge chairs ensure that there’s always an excuse to idle away an afternoon by the pool. 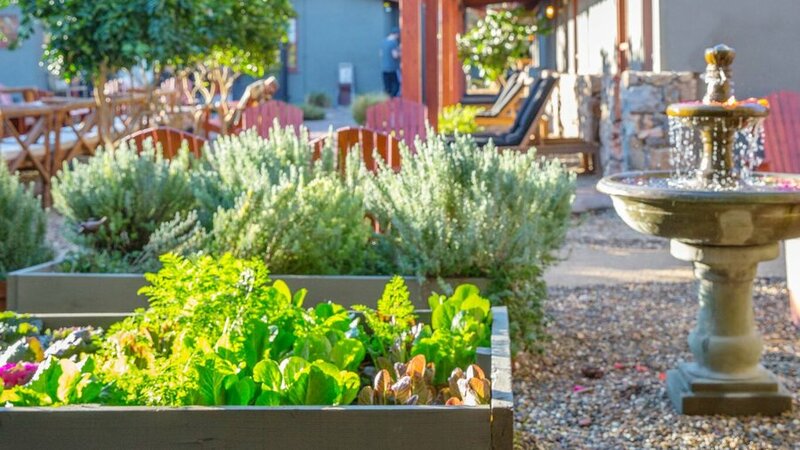 This adults-only Hollywood hideaway on the fringe of downtown is more like a trendy commune than a Palm Springs hotel, with a vegetable garden a restored open-air barn serving as the social hub. The rooms at modernized 1950s desert retreat are rustic-chic, and some feature lovingly quirky amenities, like steel horse trough bathtubs. But some of its best features are in what it doesn’t have: televisions or phones. You won’t find a pool party full of inflatable swans at Korakia Pensione—a must for anyone yearning for a relaxing bohemian oasis in the desert. 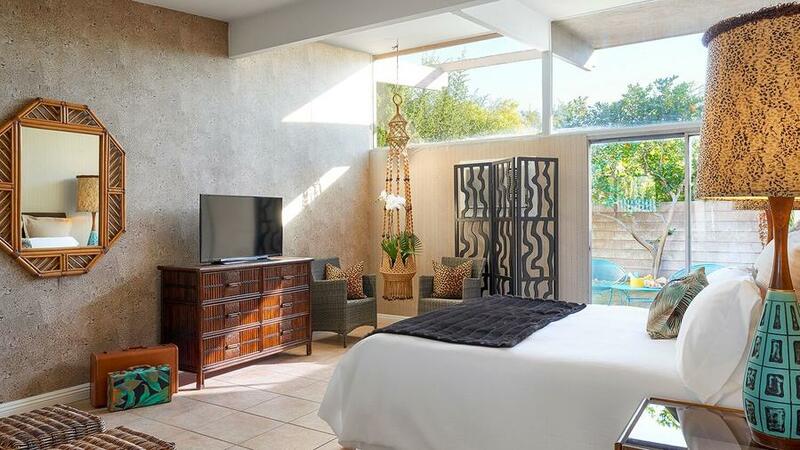 Two restored 1924 stone-and-wood villas house a handful of guestrooms, from the Moroccan-style Artist Studio room to The Orchard House with its own wraparound courtyard offers a private citrus grove. When you’re not in your room your time is best spent strolling the 1.5 acres of olive trees, oleanders, date palms, and fuchsia bougainvilleas. From the street, it’s a minimalist facade. 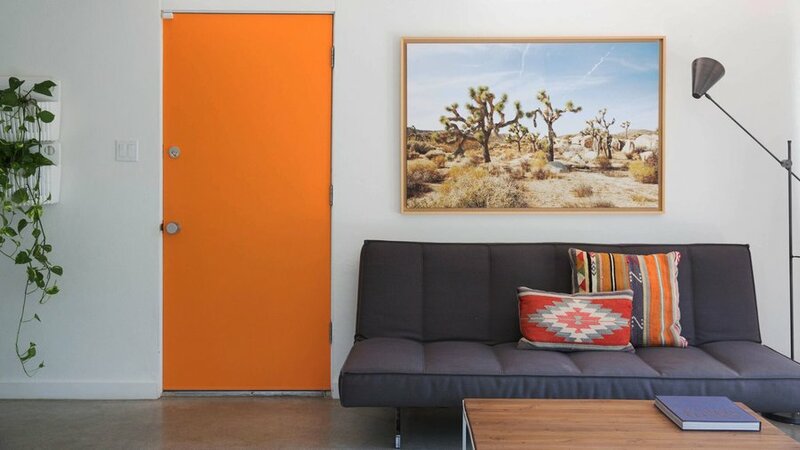 But beyond the tangerine door, it’s a boutique abode accented with Bolivian textiles and local art. The 1955 complex, including a cactus-studded courtyard and five thoughtful suites, has been renovated with a residential feel that’s at once homey and aspirational. Don’t feel like sharing it? It can be rented out by your group. This 1930s hotel is the Goldilocks of hotels—not too big and not too small. The intimate space takes the form of a Spanish colonial bungalow, replete with striped daybeds and citrus trees. 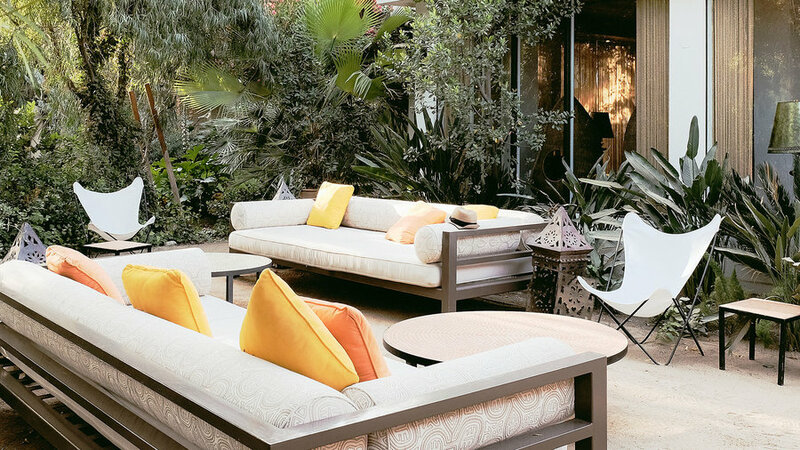 Though it’s tamed down quite a bit from its brothel era—now it’s known for a relaxed pool scene and Moroccan-inspired gardens.